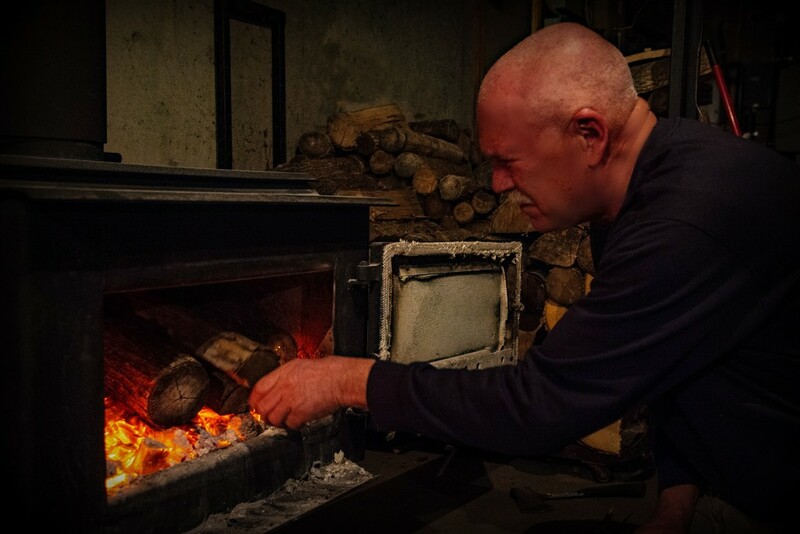 We heat our home almost exclusively with wood and it is such a nice and constant heat. The wood stove is in our basement which is not finished except for a spare bedroom and bathroom. So the heat rises and warms to floor of our main house making for a delicious walk in bare feet even on the coldest day! This was as close as Hubby could get putting the wood in - it was hot! For week 4 (Warmth) of the 52 week challenge, which belongs in the story telling category. A great story telling image. I loved your narrative, warm floors in the cold winter, how wonderful. Wonderful image and story. First 3 years of our marriage we heated with wood and I even cooked on an old Home Comfort cook stove...We moved higher up in the mts to our cabin at 8000+ altitude and for 10 more years we heated with wood---which took 25 to 27 pickup loads to heat but when we moved down to Talpa near Taos we only supplemented with wood and heated mainly with propane which we now also use here at the ranch and only have a wood stove for one of the outbuildings and I Miss that good warmth of the wood heat but don't miss bringing wood in on sub zero days. Lovely - wood fires have a special warmth. What a great portrait, how long did you make the poor chap pose?? Bet he was toastie!! They have these things around here where there is something like a furnace for wood but outside and away from house. Have you seen those. Nice except you have to go out and fill up not so often but not for me. A great shot and very fitting, nothing can top a wood fire. Great capture and story for the challenge. I love the heat from the wood. It's nice to have constant heat. Our heat pump system does not give us that. It seems it is always blowing colder air. @farmreporter Tell him he's welcome.